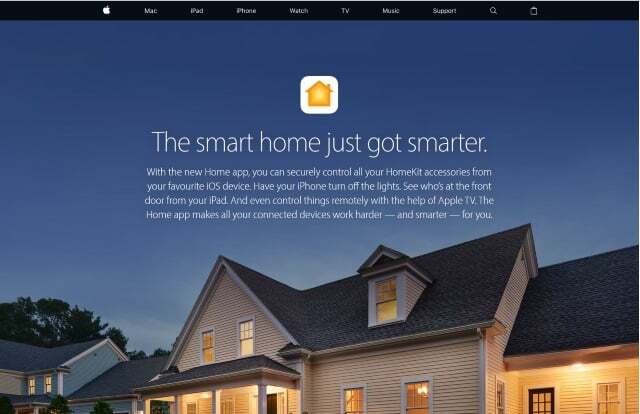 You are here: Home / Apple / What are the Apple HomeKit and Home app and what can they offer you? Apple HomeKit is the computer giant’s entry into the home automation market. While many manufacturers are entering the smart home, Apple has had a presence there for a little while. The Apple HomeKit is the centerpiece of the smart home and works as a smart hub to attach many other accessories to make your home work better. The Home app allows you to use touch controls or Siri to make changes to your setup or control it away from home. Apple HomeKit is the center of your smart home. 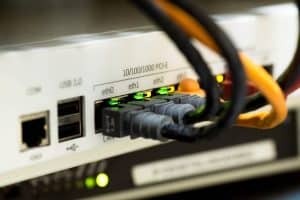 It is an intelligent hub that connects to your home network and controls other accessories. It manages settings, schedules and all aspects of the ‘smart’ part of the smart home. Other smart accessories then link to the Apple HomeKit and are configured through the system. The Home app is installed on your iPhone or iPad and will allow you to make changes on the fly or when you’re away from home. Apple HomeKit isn’t just a hardware device, it includes a protocol too. That means other manufacturers can implement it into their own devices so the two can work together. Devices such as Philips Hue and smart thermostats can communicate with the Apple HomeKit, providing a simple to manage home setup. Why do I need Apple HomeKit? The aforementioned Philips Hue lights have been around for years and come with their own app. Why do I need Apple HomeKit too? If you just want smart lights and nothing more, you don’t need anything else. If you would like to integrate Hue into a smart home setup, you do need Apple HomeKit. For example, say you want your blinds to close at a certain time of night and the lights to come on automatically when it gets dark. You connect your smart blinds to Apple HomeKit and set a schedule. You then connect a light sensor and smart lights to the system and do the same. You can then add things like motion sensing to automatically turn on the lights as you move around the house or to alert you if someone is moving around in your home when you’re not there. There are hundreds of accessories that all play nicely with Apple HomeKit. This page has a whole list of compatible accessories that all work with the equipment. They include smart fans, sensors, lighting, locks, plugs and more. Finally, being able to talk to your home and get it to do stuff is just too cool to ignore. Using Apple HomeKit and Siri on the Home app means your home can respond to voice commands. What can Apple HomeKit do for me? Let’s set the scene. You walk up to your home and the door unlocks remotely as it senses your cellphone. The hallway lights come on and the smart plug on the coffee machine turns the coffee on. The temperature is just right as central air or heat automatically turns on an hour before you come home. The oven switched on ten minutes ago when you told it to with the Home app and everything is ready for your arrival. There was a time when such a utopian lifestyle was pure science fiction. Now it is perfectly accessible with Apple HomeKit, the Home app and some smart accessories. To build that picture, you would obviously need the Apple HomeKit to act as the hub. A smart door lock can work independently or as part of the setup. The lights will use a motion sensor to detect you entering the house. The temperature will use a smart thermostat controlled by Apple HomeKit to maintain a constant temperature for when you get home. A smart plug will work on a time or with the lock on you arrival to turn on the coffee. You can manually turn your own on using Siri and the Home app or have it work on a schedule. Another smart plug, or a new smart oven will make it all happen. How to you set everything up? As space age as this might all seem, Apple have done what they do best with the HomeKit. They have packaged it all into a tidy little device and made all the complicated configuration simple with a nice-looking UI and intuitive controls. To set up the Apple HomeKit all you need do is unbox it, plug it into the mains and connect it to your home network. Then you can install the new Home app. Every time you add a new accessory to your smart home, you will first need to make sure it is Apple HomeKit compatible. Then, set it up using its own app and allow it to join the Apple HomeKit network. Usually, you will be prompted during setup to join the network. Apple HomeKit will provide an eight digit PIN, just enter that into your accessory and allow it to join the network. That is enough to allow basic smart functions. From within Apple HomeKit, you can then set up scenes using the Grouping function. These are a series of instructions like the example I described above. For example, say ‘goodnight’ to Siri and you can program your Apple HomeKit to turn down the thermostat, enable your alarm and motion detectors, switch off all sockets, close the smart blinds and turn off all the lights in the house. While it might seem as if this would be complicated, it really isn’t. Apple HomeKit compares well to Samsung Smart Home which is the other major player in the smart home market. Now the new app is here, the two compare very well against each other. If you already use an iPhone, integrating all this into your life is even easier. The smart home of the future really is here. From as little as $500, you can turn your home into one that reacts to your needs and switches from being a passive cocoon to protect you from the weather and transform into something that can anticipate and react to the way you live. I may be a tech geek who runs a computer store but I defy anyone to not be excited about the potential of all this! Computer support question of the week: What is AMD Ryzen and what is all the fuss about? 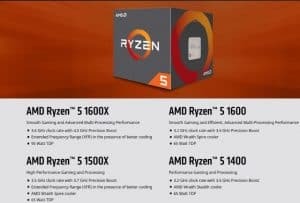 Previous Post: « Computer support question of the week: What is AMD Ryzen and what is all the fuss about?